Chiune Suhigara made a profound impact on thousands of Lithuanian lives. The honorable yet humble man, stood up during the dark days of WWII saving thousands of innocent people. He made every second count, spending his final moments leaving Lithuania via train, passing out travel visas to Jewish Lithuanians. This outstanding man has inspired articles, a book, plays, and several films. In Lithuania this September, a week long Festival will honor the man, and his lasting legacy on the Lithuanian culture. 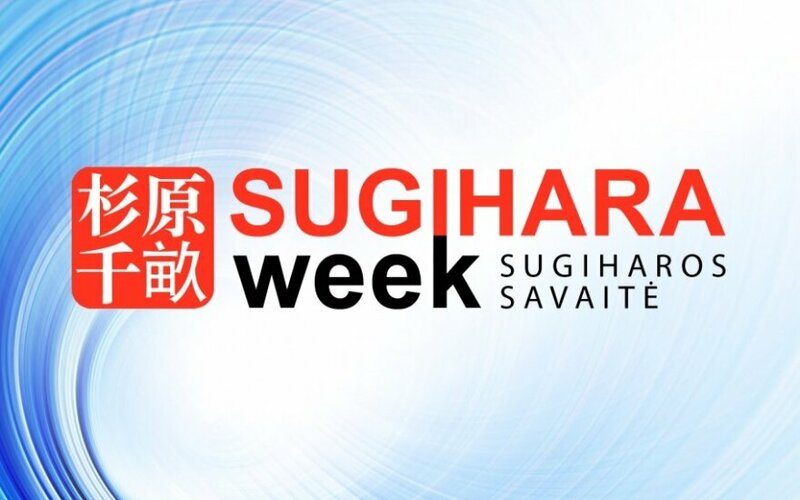 Suhigara Week, a festival that will take place early this autumn, in Kaunas, is being organized by Asta Kavaliauskaite and Dr. Aurelijus Zykas, working in conjunction with The Suhigara house, Kaunas Municipality, Center for Asian Studies, Embassy of Japan and local partners. The intricate festival with literary, art, dance, musical components honors the humble diplomat through song, dance, art, and lectures. Vibrant, bright, bold. As good as the man was, this festival is eclectic. It offers a little something for everyone. This promises to be, a uniquely exciting festival in the heart of Kaunas. This humble hero, who held his good deeds private his entire life, only to be revered after his passing, an unassuming Japanese hero of the Lithuanian people, has garnered a festival in the heart of Lithuania in his name, growing out of simple Bonsai art symposiums held in previous years. It has evolved, much like a piece of clay on a potter's wheel or a piece of glass in a glassworks. It retains elements of Bonsai art, but adds so much for attendees to this year's festival. Asta, the one of the festival organizers stated, "I like the homage, my idea was to incorporate various elements. I have had a true appreciation for Japanese culture for many years now. This festival started as a simple tribute, and has grown into a cultural celebration, steeped not only in the memory of Mr. Sugihara but Japanese, Jewish and Lithuanian culture itself. It has grown beautifully to offer visitors to this year's event a true myriad of activities. This is a festival for everyone from the small child to the elderly, singles and families alike. There is something for everyone, everyone is invited." The 2017 Suhigara Week Festival will span from Saturday September 2, through Friday, September 8th, 2017. Here is only small sample of the wide array or activities planned. The excitement begins on September2nd, promptly at 15.00 with street performances expressing Japanese culture. Participants from Aura modern dance theater, Kendo, Martial arts will perform on Daukanto Street. At 18.00 attend an opening concert featuring the jazz vocalist and composer Keiko Borjeson, the Choir "Varpelis", Bella Shirin, and the Aura modern dance theater, at the Daukanto str. 29, VMU Grand Hall. On Sunday, September 3rd, at 10.00, watch a Sugihara Kendo Tournament, The Lithuanian, European and Japanese Kendoka at the Lithuanian Sports University will share their skills. On September, 4, Monday at 10.30 till September 8 afternoon Sugihara house will be painted by Tokon-International painters volunteers on Vaižganto str. 30 Come and visit the historical home, at it receives much needed updates. Thursday, September 7th.Arts and Crafts day where with workshops of Japanese Culture (Kimono, Calligraphy, Origami, Kamishibai) and Arts and Crafts Fair. Concert of Litvak music group Rakija Klezmer Orchestra. This year's festival offers attendees a wide spectrum of entertainment, learning opportunities, and one of kind experiences. Where else in the world can a festival attendee experience, in one short week, everything from workshops in Kimono, Bonsai, Japanese drum circles, to Lithuanian Jewish Klezmer music? Did you ever think you would be able to experience such an eclectic yet well-planned mixture of dance, lectures, plays, music and martial arts in the center Kaunas? You'll have the opportunity this September. Everyone is graciously invited to explore, learn something, listen to music you may have never heard before, and enjoy truly one of a kind Asian-themed Festival in the heart of Lithuania. See you at Suhigara Week 2017.